« Bedtime anguish – can you help me? Please? My husband is a crazy hockey nut, especially a fan of the Chicago Blackhawks. Their convention is this weekend, and my excited husband and his hockey pals were gathering in the kitchen, examining their “game-worn” and making plans for their big weekend. 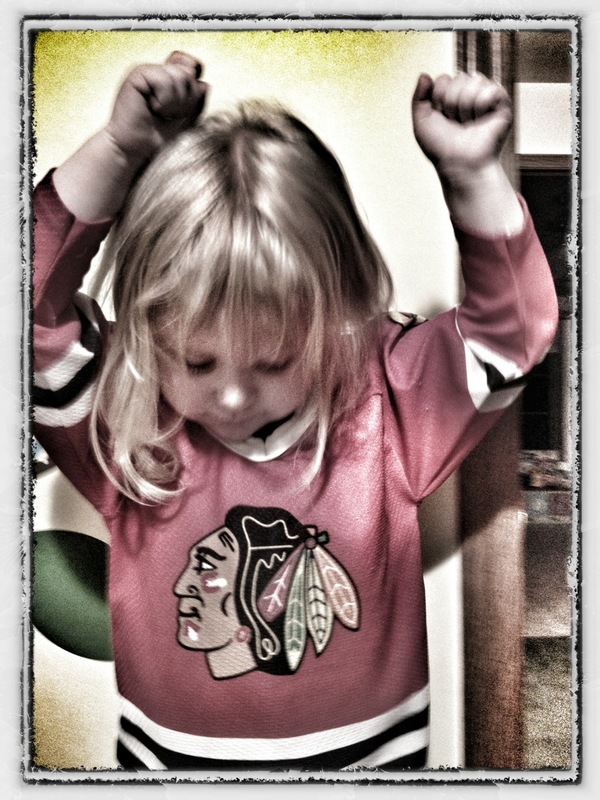 My daughter, all excited at their arrival and caught up in the fun, immediately ran upstairs and started digging through drawers to don herhockey jersey. She was one of the boys all night – but by far the cutest! !